Buleria, tiento, fandango, soleares, tango, jaleo, martinete, bamberas… So many flamenco styles and all in just two performances! “Al Son Son Flamenco” returns for another year with never before seen choreographies by their creators Sonia Olla and Ismael Fernandez. The dancer and singer will be accompanied on stage by their young flamenco students, who have been working with them throughout the year in the dance and voice classes that are taught in Midtown. At the guitar, the rhythm of Hector Jose Marquez “Gordo”, Raphael Brunn, accompanied by the voice of the guest artist “El Bola”, in town direct from Spain, they will take us on a journey to the depths of Andalusia. 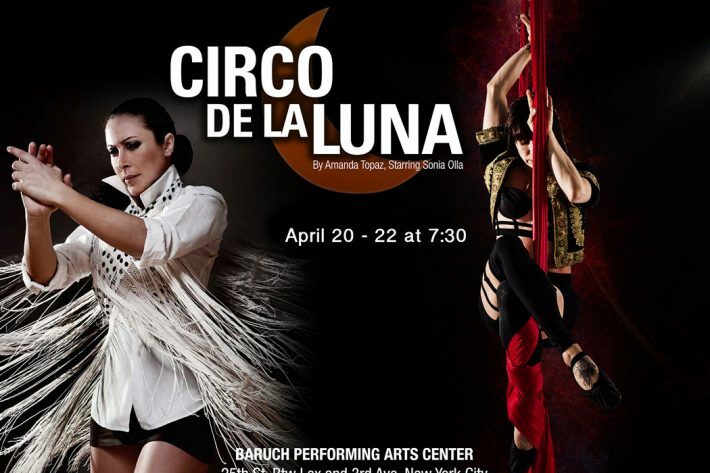 Are you ready to see stars with “Circo de la Luna”? “Circo de la Luna” arrives for the first time in New York City with three sessions of it’s magical show, which tells the story of a disgruntled dweller who travels to a world in which body and mind will be opened, transformed forever thanks to that galactic space created by Amanda topaz, Sonia Olla e Ismael Fernández. We are honored to announce that we will be featured TONIGHT (9/3/2015) at 8pm on “NYC Arts,” on Channel 13. This is so exciting, because it’s our first feature as New York Artists! We are so grateful for all the wonderful opportunities this city has given us! Please tune in tonight at 8pm on Channel 13! More that 100 artists, 33 theaters, 24 cities and 70 shows all over USA with an estimated number of 80.000 public! The passion and drama of Spain dance and music comes to Usa from February 26th through March 30th 2014. 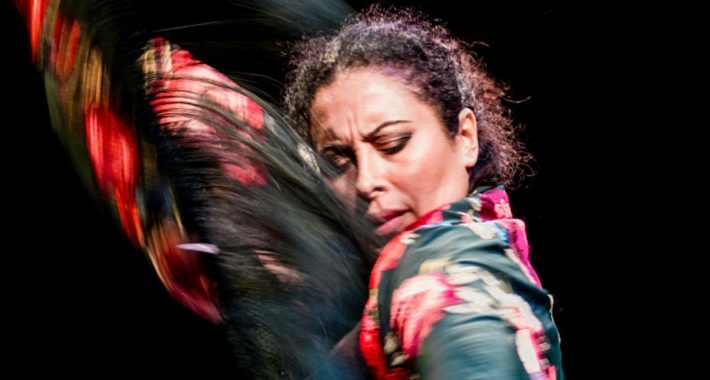 Flamenco Festival USA presents the vibrant spectrum of flamenco, with the traditional Gypsy roots and contemporary interpretations represented by some of the world’s finest Spanish dancers and musicians of today.